Colleen Sleadd had a feeling her family might win. She and her husband, Nathan, were playing games with friends when Colleen was tasked with making a wish. Her dream, she said, was to be famous, for just for one day. 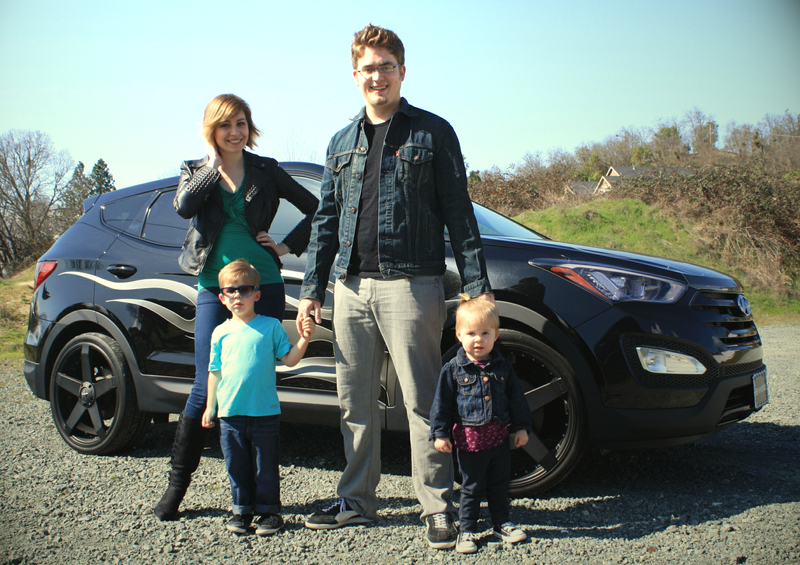 Not long after, that wish came true when she and Nathan, along with toddlers Brock and Ember, were notified they’d won the Hyundai/Rolling Stone Magazine “My Family Rocks” contest. The contest aimed to find the “most rockin’ family in America”. 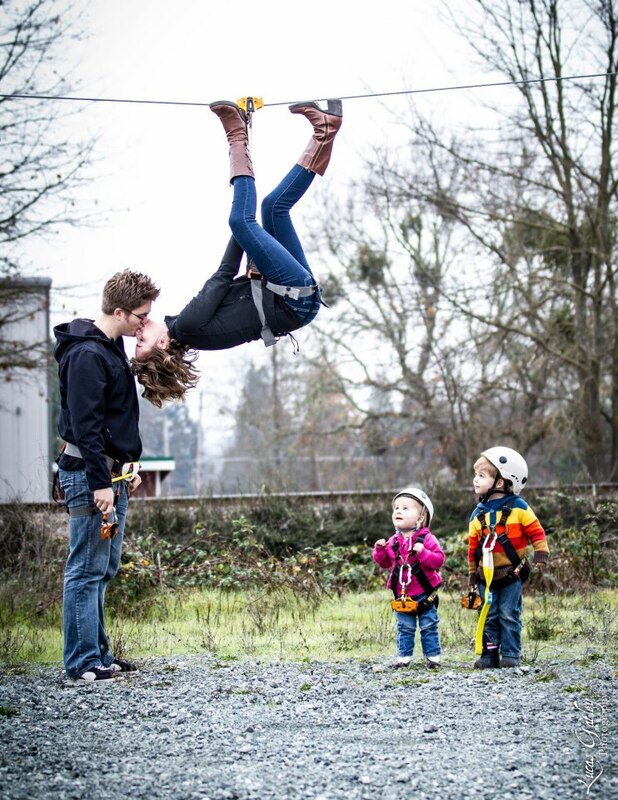 The Sleadds had entered with an essay they’d taken turns writing, and a photo showing Nathan kissing an inverted Colleen dangling from a zipline outside their Grants Pass business, Sleaddventures, which sells zipline gear. The photo was the perfect representation of a young couple passionate about their family and the family business. Hyundai and Rolling Stone thought so, too, and chose them as finalists. Then the contest was opened to on-line voting and, again, the Sleadds came out on top. Although the winners weren’t officially announced until March 15th, the Sleadds had already been enjoying their prizes: a trip to the Grammy Awards, a photo shoot with Rolling Stone Magazine, and a custom 2013 Hyundai Santa Fe “Rock-n-Roller” which they picked up at Butler Hyundai in early March.